A recently developed risk rating system will aid farmers in determining ryegrass toxicity within their hay paddocks or bales of hay. Annual ryegrass toxicity (ARGT) is a serious issue for farmers seeking to export hay domestically and internationally and an even bigger concern for those feeding their livestock with potentially toxic fodder. However, a recent Department of Agriculture and Food WA study has helped construct a method of explaining the risk of ARGT to farmers seeking fodder testing. "People who buy or sell fodder for animals can have it tested at the Animal Health Laboratories of the Department of Agriculture & Food, WA for a fairly low reasonable fee to assess the risk that it might present of causing annual ryegrass toxicity in the animals that they feed it to," DAFWA scientist Anne Masters says. "Because of the way that we have now organised the results we can give them a risk rating for the results of their test rather than just a number of bacterial galls per kilogram and that's easier for them to interpret." The risk rating system will provide easily understandable results to farmers within 48 hours. "The hay exporters collect the hay one day, soak it overnight, take the extracts early the next morning and bring it to us," Ms Masters says. "We test it the same day so they get a result by late afternoon." Despite the new risk rating method classifying some pastures as 'low risk', the rating is based on an average and as a result some pastures may have small areas that are of high toxicity. "Quite often in a paddock you might have a patch which has a lot of ryegrass and that's where the toxicity is," senior veterinary parasitologist Dieter Palmer says. "Animals quite like ryegrass so they may preferably go to into that corner. "Although you could have a low risk paddock on average, that part of the paddock could be high risk." 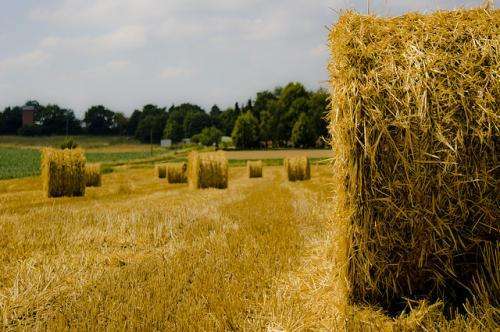 Because of this, it is recommended that farmers who collect samples of their pasture to send away for testing take hay from multiple areas in the paddock. "If [a farmer] has the bacteria in his paddock it could be quite unevenly distributed so the farmer has to collect samples of hay from all over the paddock and bundle them into one and send it to us for testing," Ms Masters says.